Where Would A Rocky Fielding Win Over Canelo Rank Amongst The Greatest British Wins/Upsets? He’s a whopping great outsider/underdog and he doesn’t care one bit. 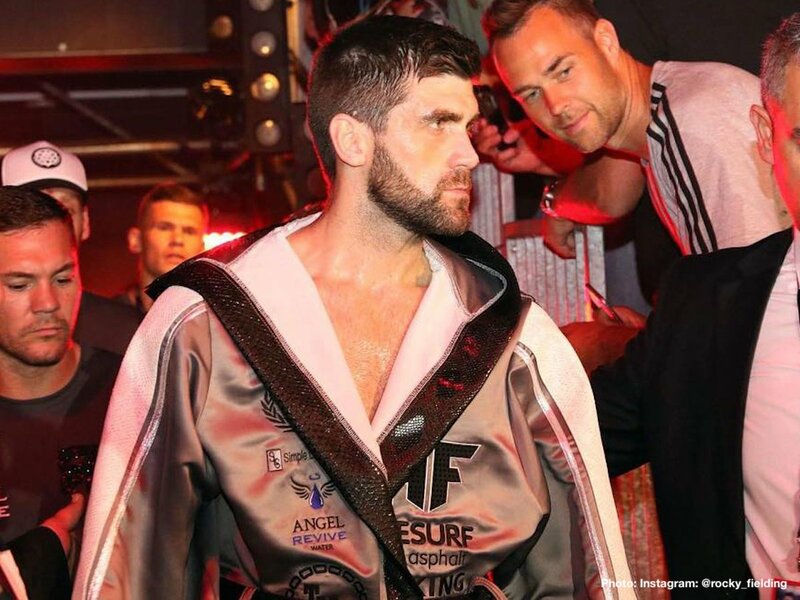 British warrior Rocky Fielding is as confident as he is excited going into his surprise shot at Mexican star and current pound-for-pounder Canelo Alvarez. In fact, it is Canelo who is getting the shot: at Rocky’s WBA super-middleweight belt (the “regular” version). But regardless, Fielding, 27-1(15) is getting the biggest fight of his entire life/career and he knows it. Yet he is, or he sounds, totally confident and full of self-belief . If – and it’s a big if in the opinion of practically everyone – Fielding did pull off a momentous win on December 15 in New York, it would very likely rank as The Upset of The Year. But where in the list of great shocks/wins/upsets scored by British boxers over the years would a Fielding W12 Canelo or Fielding KO Canelo rank? The big daddy of massive upsets scored by a British fighters is the absolute stunner middleweight Randolph Turpin scored back in 1951, when he won a 15-round decision over the legendary pound-for-pound best of them all, Sugar Ray Robinson. This one may never, ever be topped. Probably second on the list is the jaw-dropper Lloyd Honeyghan gave us back in 1986, when he ripped the welterweight crown from the “unbeatable” Don Curry. Honeyghan, caring nothing about the tremendous odds that were against him, fought his (street) fight and simply battered all fighting spirit out of the then pound-for-pound number-one, stopping him in six-rounds. Ricky Hatton’s wholly unexpected stoppage win over Kostya Tszyu back in 2005 has to make this list. Somewhat like Honeyghan, Hatton employed rough-house tactics and made them work for him. An exhausted and thoroughly beaten Tszyu had absolutely nothing left after having shared a ring with Hatton for 11-rounds. Nigel Benn’s brutal win over the lethal Gerald McClellan in 1995 is as memorable for being a great British upset as it is for being an ultimately tragic fight. Benn overcame terrifying odds and endured some serious pain in managing to subdue the former middleweight champ was was moving up to challenge Benn for his 168 pound crown. To this day, every fan who saw this fight live cannot forget it. John H. Stracey WTKO6 Jose Napoles, at welterweight, 1975. Tyson Fury W12 Wladimir Klitschko, at heavyweight, 2015. Ken Buchanan W15 Ismael Laguna, at lightweight, 1970. Frank Bruno W12 Oliver McCall, at heavyweight, 1995. Barry McGuigan W15 Eusebio Pedroza, at featherweight, 1985. You are here: Home / Boxing News / Where Would A Rocky Fielding Win Over Canelo Rank Amongst The Greatest British Wins/Upsets?